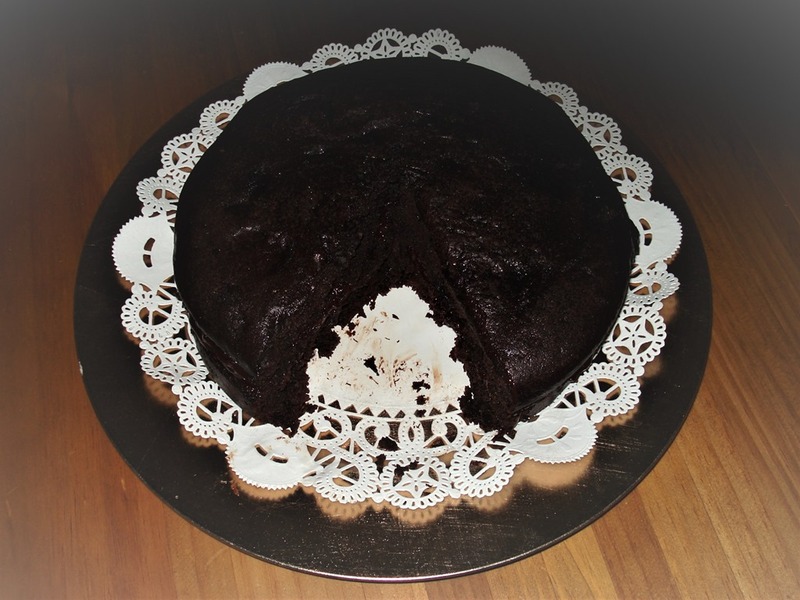 Simply Delicious Chocolate Cake | Can't Believe It's Allergy Free! Nobody ever tires of chocolate cake. This one comes out especially light and fluffy….great for special occasions. Just slather with a quick chocolate frosting or divide the batter into two pans, and put a generous layer of cream cheese frosting between two layers to make it extra special. Or do both! You could even make it dairy free. Every guest will just love this one, even those with zero allergies. Bring to a boil– water, cocoa, oil and butter/margarine. Sift together flour, sugar and baking soda. Gradually fold into the liquid mixture. Use hand mixer to make a smooth batter, if necessary. Spoon into 2 eight inch pans. Bake 40-45 minutes or until knife comes out clean. Bring to a rolling boil and continue to boil for one minute. Add 1 teaspoon vanilla if required. Using a broad spatula dab half the frosting onto one cake while still warm. Place the second cake on top. Use remaining frosting to cover the top cake.